How do you measure success when cross-selling existing clients? As agents and advisors, our existing books of business are one of the best and most cost-efficient sources of generating additional sales. If we’ve done our jobs as agents and developed relationships with our clients by providing them with products that meet their needs, then we are missing out on a tremendous opportunity if we are not periodically reaching out to them to discuss the additional products that we carry. Each of our clients is unique and as such, has different needs and goals regarding their insurance coverage. 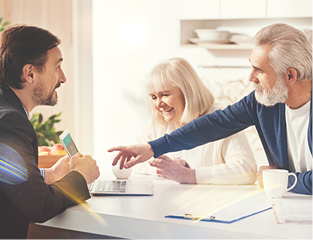 We as agents need to keep in touch with our clients and be aware of their circumstances so that we can offer products and services that can address their insurance needs outside of their Medicare needs. If we aren’t making an effort to retain our book of business and discussing ALL of our clients’ needs, there’s nothing stopping them from meeting with another advisor who is willing to discuss those needs. One of the objections I’ve heard from agents in regards to cross-marketing is that it is time consuming and that their limited time is best spent growing their book of business. I believe that at the core of this mind-set is the idea that the only successful cross-selling appointment is one that generates a sale. Closing business is what keeps the lights on, but not every sales call results in apps being signed. This doesn’t mean that we haven’t accomplished something during the meeting. As an agent, when I met with existing clients to discuss additional services, my goal was to get one of four results by the end of the meeting. The first outcome seems simple, and it is. A “Yes” in an appointment either results in a sale and paperwork being signed, or is an agreement to have a future meeting. While a “yes” that results in putting pen to paper (or stylus to tablet) is the ideal result, scheduling a follow-up meeting to discuss quotes/products is a close second and indicates that the client has bought in to some aspect of what you are recommending. Getting a “No” from a client or prospect, while not as exciting as a yes, can be equally important. If a client tells you “No, I’m not interested in additional products”, that saves you the time and hassle of continuing a sales process that will not result in a sale. You’ve still deepened the relationship with this client, but now you are free to focus on different clients/prospects. Often times, a client may tell you that the product you are discussing is not a fit for their needs, but may be a fit for someone they know. Referrals are one of the most cost efficient ways to grow our books. One of my favorite ways to ask for referrals was this: “Joe Client, thank you for the opportunity to work with you. One of the things I enjoy about what I do is the opportunity it affords me to work with people such as yourself. Do you know of anyone like you that may find my services useful?”. Everyone has their own way that they feel comfortable asking clients for referrals; it’s important to find a way that works for you. If none of the other results were obtained in a sales meeting, then we should at least be able to come away from the meeting with a lesson. Even lessons learned regarding seemingly small issues such as voice inflection or tone can make us better as agents and help us on future sales calls. Often, we are tempted to brush off a sales call that didn’t go well and immediately move on to the next prospect/client. Unless we take a moment to consider what we as agents could have done differently, we cannot change our approach and our results won’t change either. As the old saying goes, “If you always do what you always did, you’ll always get what you’ve always got”. Now that the AEP is behind us, right now is the perfect time to reach back out to our clients to thank them for their business and discuss some of the additional needs that they have. The JSA Marketing team is able to answer any product related questions you have as well as discuss which cross-selling strategies may be right for you. Henry Monahan is a Marketing Representative with Jack Schroeder and Associates who specializes in Final Expense Life Insurance. His firsthand experience selling life insurance for almost a decade allows him to provide valuable insight to both new and veteran agents working with Final Expense Life products.